Twin boys grow up in the same family, in the same town. Dramatically different, they become bitter enemies, even as children. One good, one bad. One leaves his peaceful hometown, but when all else fails, the prodigal son returns, twenty years later. The reunion of brothers, sweet and healing at first, exposes shattering revelations of good and evil. #1 "New York Times "bestselling author Danielle Steel tells a brilliant, suspenseful story of suspicion, betrayal, and a life-and-death struggle for survival. Which twin is good and which is evil, as the tables turn again and again? In a matter of days, Peter McDowell loses everything he has worked so hard for his wealth, his property, his livelihood as a star investment banker. And then it gets worse. The stock market crash not only plunges Peter into joblessness, it causes a rift in his marriage that he cannot repair. Stripped of everything, he has only one place to retreat: a lakeside cottage he inherited from his parents, who left most of their modest estate to Peter s twin. With no other choice, the prodigal son goes home. A beloved small-town doctor, a devoted family man, and a pillar of his community, Michael McDowell serves others without regard to personal gain. Only Peter knows how Michael manipulated their parents when the boys were young, ultimately driving Peter away. At first, he dreads seeing Michael again. But, to his surprise, their reunion is tender and real. Only later, as Peter mulls over his late mother s journals, does the truth begin to emerge, as realization and panic begin to set in. Who is his twin? Is the facade real, or does something terrifying lie beneath? Imagination or a reality too terrifying to believe? 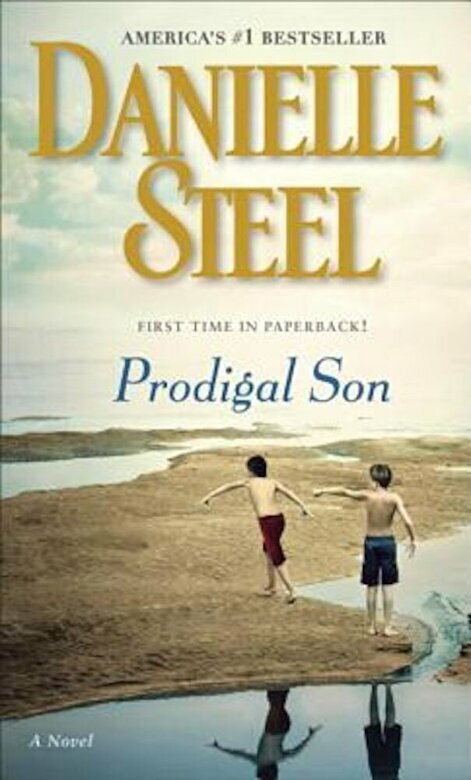 Powerful, poignant, and filled with complex and layered characters, " Prodigal Son "is a riveting novel of secrets, salvation, and redemption from master storyteller Danielle Steel. Fraternal twins raised together turn] out to be very different and very much in conflict. One twin leaves home, but when this prodigal son returns, is he the evil twin, or is his brother? Steel yourself. "Library Journal"
Readers should be prepared for revelations of wickedness on a vast scale. "Publishers Weekly""